Bangladesh has made considerable achievement in decreasing the total fertility rate (TFR) with a corresponding increase in the contraceptive prevalence rate (CPR). According to the Bangladesh Demographic and Health Survey 2007, the TFR has decreased noticeably from over six to less than three births, and the CPR has increased seven-folds from 8 to 56 percent (NIPORT, Mitra and Associates, and ORC Macro 2009). Despite these achievements, contraceptive-use is tilted towards temporary methods and the use of long-acting and/or permanent methods (LA/PMs) has decreased over time (Sabir 2008). At present, the majority of currently married women use oral contraceptive pills, although 30 percent of those have completed their family size and/or state that they do not want any more children. Over three-fourths of women with four or more living children want no more children, and yet only 10 percent use LA/PMs (NIPORT, Mitra and Associates, and ORC Macro 2009). These findings indicate that in order to strengthen the success of the national family planning program, it is highly imperative to enable couples who want no more children to use LA/PMs. There is little emphasis on the balance in the effective use of contraceptive methods, which is being considered one of the reasons for the delay in reaching replacement-level fertility (Rob and Talukder 2008). The use of all methods, except traditional methods, was higher among the women who visited FWCs than among those who did not visit FWCs. The use of injectables and IUDs was higher among the women who visited SCs than among those who did not visit SCs. Injectables and IUDs were preferred by the young or low-parity women, while the permanent methods were preferred by the older or high parity women. Relatively older women preferred condoms and traditional methods. Pills, condoms, and traditional methods were more common among the educated women while injectables and permanent methods were more common among the uneducated women. According to the recent surveys, the acceptance of permanent methods, condoms, and traditional methods was lower among Muslims than Hindus. The wife and husband’s approval of FP use positively influenced the adoption of all methods; however, the wife’s approval was more important for the temporary methods than for the permanent methods (usually tubectomy). Moreover, discontinuation rates for contraceptives remain high in Bangladesh. About half of all users stop using their chosen method within 12 months of initiation. Discontinuation is high for pills, injectables, and Norplant due to side-effects or health concerns. Nationally, 44 percent of pill-users and 39 percent of injectables-users discontinue the method within 12 months of initiation (NIPORT, Mitra and Associates, and ORC Macro 2009). The irony of the current situation is that continued rapid population growth poses a bigger threat to poverty reduction in most poor countries than does HIV/AIDS. Consider sub-Saharan Africa, the region most affected by HIV. In southern Africa, with very high levels of infection, the disease is correctly regarded as an economic disaster. Most of these countries already have low fertility, and population growth is not an issue. The priority here is to achieve a more effective synergy between HIV prevention and family planning, building on the fact that condoms are now the most common contraceptive method for single people. Long-term permanent contraceptive needs of a person vary over their reproductive life-cycle. Client segmentation could play an important role for ensuring the rational use of contraceptive methods that are most appropriate for specific times in the cycle. Consequently, it is necessary to strengthen program efforts to educate couples about the range of modern contraceptive method options available and to train service providers on counseling to increase the use and continuation of appropriate methods. At the same time, strengthening facilities with functional referral systems will enable the trained service providers to deliver quality FP and RH services. Moreover the knowledge and change attitude very necessary to adopt PLAM appropriate to age and number of child. The study aims to know the knowledge and attitude towards accepting PLAM among the mothers who attending in the “Surjer Hashi” clinics which will help to develop appropriate strategy for increased contraceptive acceptance rate in Bangladesh. What are the factors behind clients attending at NGO clinics to take long- term permanent contraceptive methods? To identify the factors behind clients attending at NGO clinics to take long -term permanent contraceptive methods. To see the knowledge of the respondents about the long acting FP method. To assess the knowledge about the sources FP method and its side effects. To explore the barriers to seek FP method. To see the Motivating factors of the respondents to take long-term FP methods. Factor behind clients attending at NGO clinics to take long -term permanent contraceptive methods. 2. Oppose family planning themselves because of religious or personal reasons. 3. Lack of knowledge about contraceptive methods. 4. Lack of knowledge where to get them. 5. They may not have access to the methods they want because of weakness in services and supplies. 6. Fear the side effects of contraception methods, having heard rumors or experienced some effects themselves. There are several studies have examined the factors associated with the discontinuation of pills in Bangladesh. Khan (2001) found that women, who had experienced side-effects during their early days of taking pills, were more likely to discontinue the method compared to those who did not experience any side-effects. Most side-effects are expected during the initial period of method-use, and these problems disappear after a couple of cycles, as the woman’s body is gradually accustomed to the level of hormones (Akhter et al. 1996). The discontinuation rate of injectables is also high due to side-effects or health problems. Moreover, 60 percent of currently-married women discontinued the IUD due to side-effects and health concerns (NIPORT, Mitra and Associates, and ORC Macro 2005). Findings suggest that IUD inserted following unsafe procedures raise the likelihood of being infected with reproductive tract infections (RTIs) (Chowdhury et al. 1999; Wasserheit et al. 1989). Women discontinue pills and injectables because they have limited knowledge about the side-effects. Sometimes, they even decide to substitute a traditional contraceptive method or use no method at all, which exposes them to a greater risk of unintended pregnancy. High rates of discontinuation of pills and injectables, along with subsequent ineffective use, indicate that there is a need to improve the proper use of temporary methods in Bangladesh. IUD, and Norplant has been decreasing since 1991, which is a special concern of the national family planning program. These methods now account for only seven percent of all contraceptive-use compared to 30 percent in 1991. In the last three decades, the proportion of married women using an IUD has never exceeded two percent. The current rate of IUD-use is less than one percent (NIPORT, Mitra and Associates and ORC Macro 2009). The proportion of female sterilization reached its peak at nine percent in 1991 and declined to five percent in 2007. Likewise, male sterilization reached 1.5 percent in 1985 and then declined to 0.7 percent in 2007 (NIPORT, Mitra and Associates and ORC Macro 2009). The low use of sterilization is related to some social prejudices and misconceptions. Findings from a qualitative study showed that men relate losing potency and ability to work with sterilization (Rob et al. 2005). Some men believe that sterilization will make them weak and debilitated, as a result of which they will not be able to do any hard physical work. Rumors and religious misunderstandings also discourage men from using sterilization. In addition, female fieldworkers have less access to men and are, therefore, not able to discuss sterilization with them. The majority of men consider it inappropriate to talk to female workers about contraceptive methods (Sabir et al. 2004). It is also not a priority for fieldworkers to talk to men about family planning (FP) methods during their routine field visits (Hossain et al. 2004). Of the women who chose sterilization, one-third reported experiencing method-related problems. The number of women regretting sterilization increased to 15 percent in 2004 from 11 percent in 1999-2000 (NIPORT, Mitra and Associates, and ORC Macro 2005). As Loaiza (1995) pointed out, some level of regret can be expected with any permanent method of contraception, but a high level of regret could be viewed as an indication of the poor quality of care. Women and men are more likely to regret having the operation due to inadequate counseling. Although knowledge of contraceptive methods is universal in Bangladesh, i.e., all ever-married women know at least one modern contraceptive method (NIPORT, Mitra and Associates, and ORC Macro 2005), accurate and complete knowledge about contraceptives, including specific knowledge of longer acting reversible methods, is relatively low. For example, less than one-fourth of the respondents from Sylhet and Chittagong divisions knew about the IUD and female sterilization and only two percent knew about male sterilization (Research Evaluation Associates for Development 2005). Lack of correct knowledge, misconceptions about contraceptive methods, and social and religious norms act as barriers to the increased and continued use of modern contraceptive methods in rural areas (Research Evaluation Associates for Development 2005). A study conducted in 15 countries including Bangladesh revealed that about half of discontinuation of any contraceptive methods was related to the quality of care (Blanc, Curtis and Croft 2002). The quality of care is especially important for male and female sterilization. These methods differ from other modern contraceptive methods because they require surgical skills and adherence to strict medical standards to maintain quality (Bongaarts and Johansson 2002). The low quality of services is considered a contributing factor for the discontinuation of contraceptive methods generally and a decline in the use clinical contraceptive methods in Bangladesh (Rahman et al. 2006). A cross sectional descriptive study was conducted in “Surjer Hashi Clinics” at Dinajpur city of Bangladesh. Duration of the study was six months. 120 respondents were selected purposively, as the study population or the sample size for the study. Mothers who attend the selected “Surjer Hashi Clinics” at Dinajpur city of Bangladesh for long or short-term FP methods. In compliance with the study objectives, selected 120 female were selected as respondents “Surjer Hashi Clinics” at Dinajpur city of Bangladesh, which was consider as a local FP service center in this study. Through purposive sampling, total 120 married female were selected purposively as the respondents for the study. Using this formula, 120 samples of nurses were taken. For ease in calculation, the sample size was finally set at 120 married female who used to receive healthcare services from “Surjer Hashi Clinics” at Dinajpur. The study utilized random sampling method. Data was collected through a structured questionnaire prepared by the interviewer and approved by the examination board. Baseline information on socio-demographics, satisfaction and attitudes were collected from the study participants through interviewer-administered questionnaire through face to face interview. After explaining the purpose of the study to the respondents, data was collected through face to face interview using Bengali and English structured questionnaire. The data was collected from selected areas by the interviewer. The collected data was checked and verified by the investigator at the end of the work every day. Any inaccuracy and inconsistency was corrected in the next working day. However, cross checking of the collected data was done randomly. The data entry would start immediately after the completion of data collection. The collected data would be checked, verified and then entered into the computer. Only fully completed datasheet would be entered into the computer for the final analysis. The analysis would be carried out with the help of SPSS (Statistical Package for Social Science). Prior to the commencement of this study, the research protocol was approved by the research committee (Local Ethical committee). The aims and objectives of the study along with its procedure, risks and benefits of this study was explained to the respondents in easily understandable local language and then informed consent was taken from each patient. Then it was assured that all information and records will be kept confidential and the procedure will be used only for research purpose and the findings will be helpful for developing knowledge and practices of FP. A well and clearly understood inform consent form was filled in up by the respondents and interviewer. However, translations were carried out after collection of data and according to the need of the respondents. This ensures that each of participants will get the information they need to make an informed decision. With a view to analyze the demographic status, it was found that almost 52% respondents were from the age group 21 to 30 years. However, 18% respondents were from the age group of early 20’s (11-20 years) and about 30% respondents were found who were from the age group of 31 to 40 years. Besides this, while assessing the respondents marital status, it was observed that all of the respondents were married. To illustrate towards the educational qualification of the respondents, it was observed that, 10% respondents among the whole number were found to be illiterate. 18% women have completed their primary education and 33% of them, had the privilege to study up to secondary level. It was also reported by 15% respondents that, they have attained education up to higher secondary level. 5% respondents mentioned about having graduation, whereas, 19% respondents referred their educational status as post graduation. To mention about the occupational status, it was found from the responses of the respondents that, majority (51%) of them were housewives, whereas 4% of the women were engaged as house maids and 6 of them were garment workers. Notably, 39% respondents reported themselves to be engaged in service. Husband’s occupation largely affects to the wellbeing of a family. In response to the question, it was found that, most of the respondent’s husbands (31%) were engaged in different forms of service. 23% of the respondents husbands mentioned about having a small business. 17% of them were day labors and 19% were teachers. Only 4% of the husbands were students or skilled labor and 2% of them were farmers. To know about the respondents contact with the IEC media, which can help them to increase their birth control and family planning awareness; few questions were asked to the respondents. Respondents were firstly asked about their exposure to radio. In response to this query, it was found that 88% of the respondents have never listened to radios. Only 4% respondents used to listen to radio everyday. In case of understanding about the habit of watching television among the respondents, it was found that, 64% respondents used to watch television regularly, whereas 28% used to watch it frequently. Only 8% respondents mentioned that, they watch television not often. Besides, while investigating the habits of reading newspaper among the respondents, it was found that, 45% respondents mentioned that they never used to read newspaper. 22% respondents used to read it regularly and 14% used to read newspaper not often. It was also found that none of the respondents have social engagement with social clubs, NGO’s and other clubs. Sometimes, food consumption or surplus acts as a standard for measuring household economic solvency and a parameter for measuring poverty. However, it was observed by the study that in 68% cases, households used to face deficit sometimes for consumption of food. 32% of the households were found who reported neither deficit not surplus status in terms of food consumption. It was also found from the study that, in neither deficit not surplus status, some families have surplus temporarily. From whom you take permission? To investigate into, how and with whom, generally the respondents go the health centers; it was found that most of the respondents (87%) used to go to the healthcare centers alone. Besides, only 2% respondents mentioned about going to healthcare centers with their husbands and 4% of them used to go with their children. 7% respondents urged that they take their friends or relatives while going to healthcare centers. Besides, in order to measure the level of freedom enjoyed by the respondents, it was found that 95% of the respondents did not have to take any permission from any body for going to the health care centers, whereby, only 5% respondents mentioned that they have to take the permission of the husbands to go to healthcare centers. In order to identify the reproductive status and problems among the respondents, respondents were asked to tell about few dimensions. However, respondents were at first asked about the number of pregnancy which ended in a live birth, it was found that 60% respondents have gone through this for once, about 20% respondents were pregnant twice, 15.2% respondents had it thrice and 4 respondents had it for more than 3 times. It was also observed from the table that only one pregnancy case was found which ended up with a still birth. 8 respondents mentioned about their miscarriage, while 4 respondents had miscarriage once and the other 4 had to face it twice. 11 respondents mentioned that their pregnancy went in MR/ Abortion for once, 3 respondents had it twice and 1 respondent had to face this experience even 3 times. To illustrate about the successful outcomes of pregnancy, it was found that respondents have even given birth up to 4 children. 47 respondents mentioned about giving birth to 1 child, whereas, 12 respondents reported to give birth to 2 children and 16 reported to give 3 children. 4 respondents gave birth to 4 children. To know about the number of alive children, it was found that 47 respondents have alive son and 57 have alive daughter. It was noteworthy that, 35 respondents only have an alive son and 53 respondents have only one alive daughter. Respondent’s present status about pregnancy was also asked, and in response to the query, it was found that only 10 % the respondents were pregnant. However, to illustrate about the completed months of pregnancy, it was found that the duration of the pregnancy was within 4 to 8 months. However, in 50% of the pregnancy cases, the duration of pregnancy was 6 months, 20% pregnancy cases; duration of pregnancy was 5 and 8 months consecutively. Respondents were also asked to tell whether they wanted to be pregnant or wait for later and in reponse to the question 14 respondents answered. However, in case of 6 respondents, pregnancy was expected before, and 8 respondents mentioned that they wanted to wait. To assess the respondent’s knowledge about contraceptives, it was found that, 100 % respondents have heard about the contraceptives. Besides, which type of contraceptive are familiar to them was a question. In response it was found about 22% respondents heard about both Oral pill and injection. 11% heard about IUD, 10% knows abot Norplant and 16.3% knows about condom. About 8% respondents knows each about male and female sterilization. Besides that, respondents were familiar to safe period and withdrawal. It was found that almost 65% respondents knew it from the NGO clinic. Besides, 4.5% respondents knew about it satellite clinics and 18.9% knew it from doctors. Field workers acted source of knowledge of contraceptive to 10% respondents and only about 2% came to know by medias. To explore the magnitude of using different types of contraceptives, it was found that 82% of the respondents have tried or use contraceptives, whereas 18% of the respondents do not use it. Besides, while identifying the contraceptive types of different respondents, it was found that 32% respondents use oral pill, 31% respondent’s uses injection and 12% respondents use IUD/Copper T. It was also found that 20% respondents use condom as a contraceptive and other 5% respondents reported to use female sterilization as a contraceptive method. 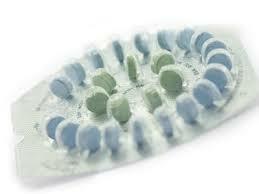 Do you know about the side effects of contraceptives? To demonstrate about the ideas for contraceptive use, it was found that, almost 76% of the respondents’ knew about the side effects of using any contraceptive method. In order to demonstrate the side effects of different contraceptive methods, Side effects of IUD was analyzed at first. 24 respondents mentioned IUD use can bring in Abdominal pain; other 24 mentioned about heavy menstruation and 12 respondents illustrated about excessive blood flow. To cite the side effects of norplant, it was found that 19 respondents mentioned about Irregular menstruation, whereas 11 referred blockage of menstruation and 14 told about obesity. 6 respondents mentioned that Norplant can result in 2-3 times menstruation in a month. To tell about Side effects of male sterilization, 20 respondents mentioned that it results in Scrotum expansion, besides, 7 mentioned about the pain in the scrotum, and 13 respondents thoughts that may endanger as Possibility of infection can be a side effect of male sterilization. While mentioning about Side effects of injection, it was found that 34 respondents mentioned about the Menstruation blocked. 20 mentioned about obesity. 18 respondents referred to the irregular menstruation and 35 referred to irregular blood flow. 14 respondents mentioned that injected place may turn red, and only 12 mentioned that injection bears the risk for infections. Table: Response in terms of long term contraception. To know about the level o interest among the respondents about using a long term or permanent method, it was found that only 69% respondents have interest on it and wants to receive the long term contraception method. However, it was followed up from the study that why respondents wants to receive it or not. The study finds that 36 respondents urged that they do not expect child right now and want a delay. 33 respondents want to adapt it as they do not want to have more children. However, 4 respondents mentioned that they do not need it as their husband lives abroad. 8 respondents refused it as they did not have any baby yet and 19 refused to use or receive as they want to take a baby. To demonstrate the ways, how women can be encouraged for using long term or permanent contraceptive method, it was found that , respondents divided into 3 broad categories. 43% respondents think that it can be promoted by advertisement or information dissemination in mass medias like TV and radio. 10% respondents think that, long term method can be initiated by active participation from the health workers. Nonetheless, 47% respondents mentioned that, counseling and discussion with the female and peer groups can be most effective for motivating women to use long term contraceptives. To illustrate towards the educational qualification of the respondents, it was observed that, 10% respondents among the whole number were found to be illiterate. 18% women have completed their primary education and 33% of them, had the privilege to study up to secondary level. It was also reported by 15% respondents that, they have attained education up to higher secondary level. 5% respondents mentioned about having graduation, wheras, 19% respondents referred their educational status as post graduation. To know about the educational status of the husbands of the respondents, it was found that, almost 85 of their husbands were illiterate and only 4% had the opportunity to complete primary education. 22 respondents mentioned that their husbands have studied up to secondary, and 24% respondent’s husbands have studied up to higher secondary level. Nonetheless, it was found that 17% of the husbands have educational attainment up to graduation and 25% of them were even post graduated. Besides, in order to measure the level of freedom enjoyed by the respondents, it was found that 95% of the respondents did not have to take any permission from any body for going to the health care centers, whereby; only 5% respondents mentioned that they have to take the permission of the husbands to go to healthcare centers. In order to identify the reproductive status and problems among the respondents, respondents were asked to tell about few dimensions. However, respondents were at first asked about the number of pregnancy which ended in a live birth, it was found that 60% respondents have gone through this for once, about 20% respondents were pregnant twice, 15.2% respondents had it thrice and 4 respondents had it for more than 3 times. It was also observed from the table that only one pregnancy case was found which ended up with a still birth. 8 respondents mentioned about their miscarriage, while 4 respondents had miscarriage once and the other 4 had to face it twice. 11 respondents mentioned that their pregnancy went in MR/ Abortion for once, 3 respondents had it twice and 1 respondent had to face this experience even 3 times. Married adolescent women in this slum were interested in using family planning methods to control their fertility but remained worried that long-term FP use will lead to menstrual irregularities and more dangerously “dry out the uterus” and make them infertile (Rashid, 2005).To illustrate about the successful outcomes of pregnancy, it was found that respondents have even given birth up to 4 children. 47 respondents mentioned about giving birth to 1 child, whereas, 12 respondents reported to give birth to 2 children and 16 reported to give 3 children. 4 respondents gave birth to 4 children. To know about the number of alive children, it was found that 47 respondents have alive son and 57 have alive daughter. It was noteworthy that, 35 respondents only have an alive son and 53 respondents have only one alive daughter. To know about the age of the youngest child, it was observed that, their age ranges from 6 months to 20 years. It was also noteworthy that out of the 79 respondents, who have alive children, the number of under 5 children was 46 out of 79, which means, about 60% of the children were aged below or equal to 5 years. On the other hand, contraceptive use is also perceived to bring about side effects of amenorrhea and often believed to lead to infertility. (Akhter, H., Chowdhury M., & Rahman M. (1996). A Study to Compare the Side Effects, Continuation and Acceptability of TCU 200, 380A and ML 375. Bangladesh Institute of Research for Promotion of Essential & Reproductive Health and Technologies (BIRPERHT). Respondent’s present status about pregnancy was also asked, and in response to the query, it was found that only 10 % the respondents were pregnant. However, to illustrate about the completed months of pregnancy, it was found that the duration of the pregnancy was within 4 to 8 months. However, in 50% of the pregnancy cases, the duration of pregnancy was 6 months, 20% pregnancy cases; duration of pregnancy was 5 and 8 months consecutively. Respondents were also asked to tell whether they wanted to be pregnant or wait for later and in reponse to the question 14 respondents answered. However, in case of 6 respondents, pregnancy was expected before, and 8 respondents mentioned that they wanted to wait. The promotion of female contraceptive methods is emphasized by the health and family planning programme of Bangladesh, and the programme is designed primarily for women (Rashid, 2001). Pills, condoms, IUDs, sterilization techniques, injectables, and Norplant are the choices of contraceptives provided by public policy for Bangladeshi men and women. A good amount of regular menstrual flow is considered by many Bangladeshi women to ensure good health (Rashid, 2001). Consequently, when side effects of contraceptives alter this flow, it brings about several problems for these women. To assess the respondent’s knowledge about contraceptives, it was found that, 100 % respondents have heard about the contraceptives. Besides, which type of contraceptive are familiar to them was a question. The oral contraceptive (OC) is the most commonly used contraceptive in Bangladesh (Akhter et al., 1996b). In response it was found about 22% respondents heard about both oral pill and injection. 11% heard about IUD, 10% knows abot Norplant and 16.3% knows about condom. About 8% respondents knows each about male and female sterilization. Besides that, respondents were familiar to safe period and withdrawal. It was found that almost 65% respondents knew it from the NGO clinic. Besides, 4.5% respondents knew about it satellite clinics and 18.9% knew it from doctors. Field workers acted source of knowledge of contraceptive to 10% respondents and only about 2% came to know by medias. The reality in most countries, however, is far different. Most countries offer only a limited choice of contraceptive methods, and couples cannot easily choose the method that best suits their reproductive needs. (Johnson JT et al., Contraceptive method mix: what determines program and individual user perspectives? paper presented at the annual meeting of the Population Association of America, Minneapolis, MN, USA, May 3–5, 1984; Snow RC and Chen LC, Towards an appropriate contraceptive method mix: policy analyses in three Asian countries, Working Paper No. 5, Cambridge, MA, USA: Harvard University Center for Population and Development Studies, 1991; and World Health Organization (WHO), Contraceptive Method Mix: Guidelines for Policy and Service Delivery, Geneva: WHO, 1994). To explore the magnitude of using different types of contraceptives, it was found that 82% of the respondents have tried or use contraceptives, whereas 18% of the respondents do not use it. Besides, while identifying the contraceptive types of different respondents, it was found that 32% respondents use oral pill, 31% respondent’s uses injection and 12% respondents use IUD/Copper T. It was also found that 20% respondents use condom as a contraceptive and other 5% respondents reported to use female sterilization as a contraceptive method. Substantial evidence indicates that a restricted choice of contraceptive methods has constrained the opportunity of individual couples to obtain a method that suits their needs, resulting in lower levels of contraceptive prevalence. To demonstrate about the ideas for contraceptive use, it was found that, almost 76% of the respondents’ knew about the side effects of using any contraceptive method. Whether, respondent’s knowledge about side effects of different contraceptives were calculated by dividing their knowledge into several sub categories. However, about 30% respondents knew about the side effects of oral pill, 34% knew about injection and 14.6% knew about the side effects IUD/ copper T. While, 7.8% informed about knowing side effect of Norplant, 7.3%- about condom, and about 6% in total about the side effects of sterilization (both male and female). An extensive study to evaluate Norplant acceptability as reported by Akhter et al (1996) on 1,327 acceptors found that quite a large number of women suffered from amenorrhea and bleeding problems (Rashid, 2001). In the context of Bangladeshi society, menstrual blood is seen as polluted blood. When not pregnant, rural women are concerned that their blood is released monthly to ensure “good health” (Blanchet, 1984; Huq & Khan, 1991; Mahbub & Ahmed, 1997). Thus if for any reason a woman experiences low blood flow during menstruation or if her menstrual bleeding ceases altogether, she perceives the impure blood as remaining within her body and thus polluting it. In a Norplant study a woman stated, “I want to open Norplant. My body doesn’t feel good because my menstruation has stopped. My head and eyes hurt” (Rashid 2001). Side effects may also be too much menstrual bleeding which cause major disruptions in a woman’s everyday life. The following is an account of a woman of the dilemmas she faced upon continuous bleeding after accepting a Norplant implant. In order to demonstrate the side effects of different contraceptive methods, Side effects of IUD was analyzed at first. 24 respondents mentioned IUD use can bring in Abdominal pain; other 24 mentioned about heavy menstruation and 12 respondents illustrated about excessive blood flow. Non-stop bleeding as a side effect of IUD can be further elaborated from a qualitative study where women perceived the bleeding as problematic in that it left them in a state of perpetual impurity and rendered them unable to pray. Also they were unable to go near their husbands or eat with them. It is commonly believed among Bangladeshi women that the body needs to have sufficient amount of blood to remain balanced and healthy and only certain foods can produce good rokto (blood) in the body. “Our husbands are poor, how will they feed us such food,” a woman stated with despair (Rashid, 2001b, p.65). To cite the side effects of norplant, it was found that 19 respondents mentioned about Irregular menstruation, whereas 11 referred blockage of menstruation and 14 told about obesity. 6 respondents mentioned that Norplant can result in 2-3 times menstruation in a month. To tell about Side effects of male sterilization, 20 respondents mentioned that it results in Scrotum expansion, besides, 7 mentioned about the pain in the scrotum, and 13 respondents thoughts that may endanger as Possibility of infection can be a side effect of male sterilization. While mentioning about Side effects of injection, it was found that 34 respondents mentioned about the Menstruation blocked. 20 mentioned about obesity. 18 respondents referred to the irregular menstruation and 35 referred to irregular blood flow. 14 respondents mentioned that injected place may turn red, and only 12 mentioned that injection bears the risk for infections. To know about the level o interest among the respondents about using a long term or permanent method, it was found that only 69% respondents have interest on it and wants to receive the long term contraception method. The use of pills, condoms, traditional methods, injectables, and IUDs are higher among the women who visited family health care centers, than among those who did not visited. An understanding of how various factors considered in the study influence method-choice of rural Bangladeshi couples is not known from our study. Further qualitative studies should be undertaken to have a clear understanding of the differentials of method-choice. However, the following comments may be helpful for improving the national programme. In Bangladesh family planning programme has achieved a remarkable success, but apart from the side effects, it has been found from the study that, it still needs attention for improvement health care seeking behavior in terms of family planning visions. Besides, the parameter of the research identifies that contraceptive use and selection of contraceptive methods should be scientifically chosen to minimize the side effects. The knowledge of the respondents about the contraceptive and family planning is limited due to limited access to public health care facilities and long acting FP method is risky to use and may have controversial impacts. So FP methods should be chosen carefully. The sources of FP method are available in every medical facility, and especially in urban healthcare centers. But every long term birth control method composed of side effects. So careful decision has to be made in consultation with the FP health profession, while choosing it for birth control. The commitment, perceived organizational support and increase in level of health education has to be addressed properly for improving the situation. The gap between the policy makers and the healthcare service providers involved in the health-care and family planning service should be narrowed down. Besides, the reflection of proper medication and proper FP methods should have to be initiated for ensuring safety in reproductive health.